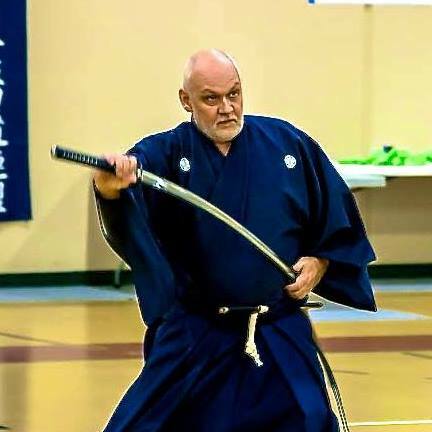 Shindokan Budo is once again proud to host a visit by Carl E. Long, Hanshi, 22nd Soshihan of Seito Muso Jikiden Eishin-ryu Iai-Heiho and Kaicho of the Kokusai Nippon Budo Kai (KNBK). This seminar’s training will focus on various aspects of Seito Muso Jikiden Eishin-ryu Iai-Heiho, including waza and katachi and the principles and strategies underlying them, and anything else that Sensei decides to suprise us with! Saturday, 10:00 pm – 4:00 pm; Sunday, 10:00 am to 4:00 pm. Shindokan Budo and the KNBK would like to thank our good friend Mark Spear, Kyoshi, Shorin-ryu Reihokan, and Black Bear Traditional Martial Arts (in which Shindokan Budo was formerly housed) for their graciousness in allowing us to hold this seminar in their wonderful facility.